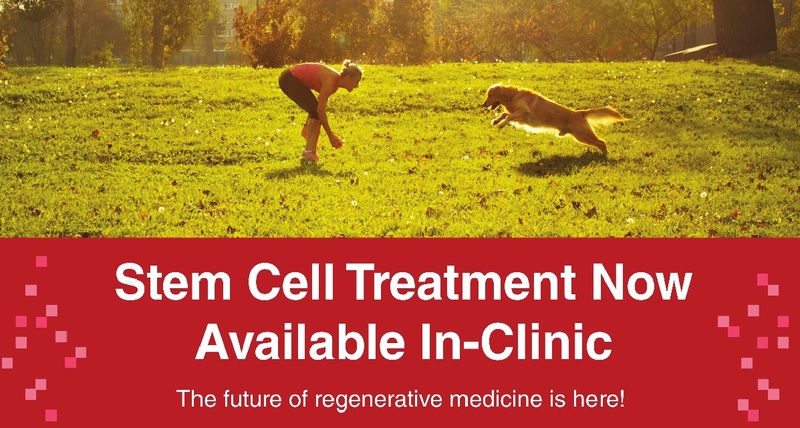 The Veterinary Emergency, Urgent Care and Referral Clinic of York Region is excited to announce that we have teamed up with Medivet Biologics Canada to provide clients with the next Advancement in Veterinary Medicine! 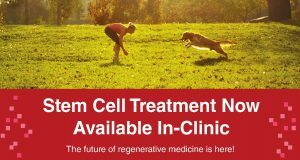 Stem cells are powerful healing cells within our body that can become other cells. There a millions laying dormant that just need to be awakened. Once awake we can re-inject them into damaged areas to start initiating healing! Stem cells treat the source of the problem rather than just reduce symptoms like NSAIDs. YES! This is a very safe procedure as we use the animals very own stem cells. The biggest risk is the anesthetic used to remove the tiny amount of fat tissue (~ 2-4 table spoons) we need to activate the billions of stem cells laying dormant in the adipose tissue. The entire procedure from start to finish can be completed in just one day! What is the recovery period, and how long does it take for results? We recommend limited activity for the first 10 days post treatment (to prevent any new injuries or recurrence of the treated joint/injury). Improvement is noted after about 2 weeks-2 months. The positive effects of Stem Cell Therapy last well over a year! Typical patients have Osteoarthritis (hip dysplasia, DJD, calcifications, common degeneration and inflammation), Soft tissue injuries (cruciate injuries, tears, ruptures, inflammation), or accelerated healing of fractures. What happens if the patient starts experiencing trouble again? 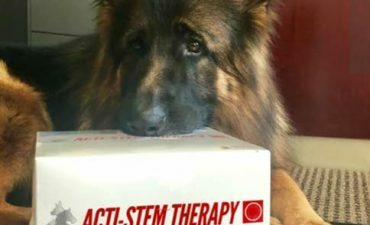 We typically see about 1-3 years of relief after initial treatment for our patients, but most pet owners choose to bank the remaining Stem Cells so that retreatment is easy in the future. No surgery necessary. Follow the link below to see some amazing success stories!